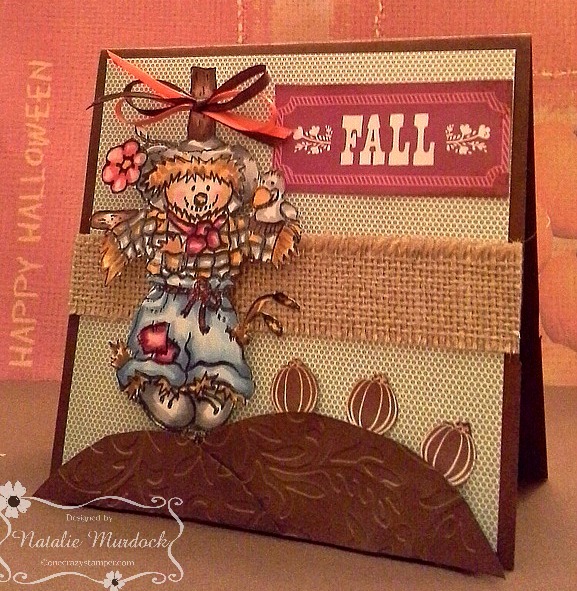 I have one more Fall/Halloween inspired card to share with you today. I can't believe it's the last day of August already! 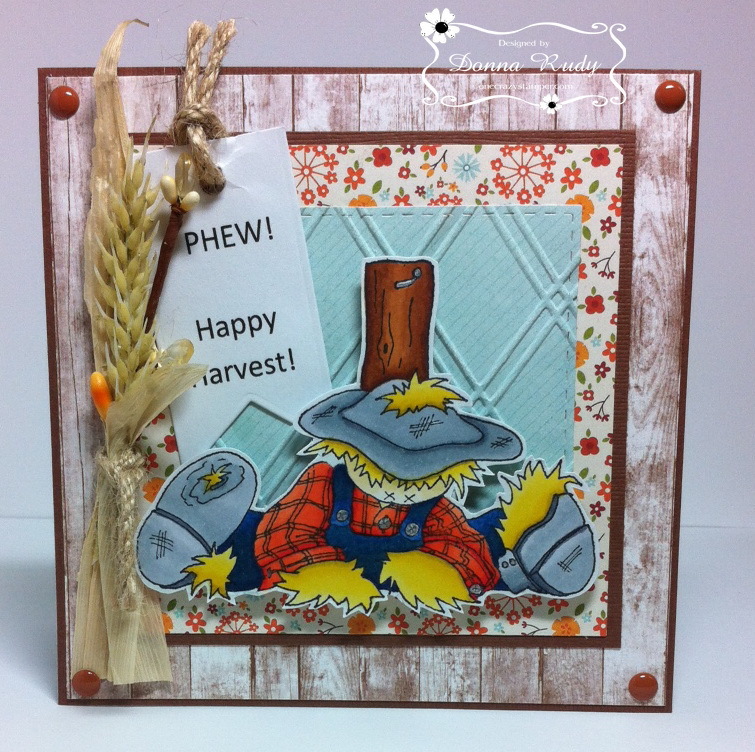 "Harvest Harry" from High Hopes Rubber Stamps sure seems happy about harvest being started. He is exhausted! Guarding crops is a tough job! I think he already has his bags packed for vacation! After colouring the stamp with alcohol markers I fussy cut Harry leaving a thin white border. I added some blue paper behind him after running it through an embossing folder. Paper from Echo Park was perfect for this card. 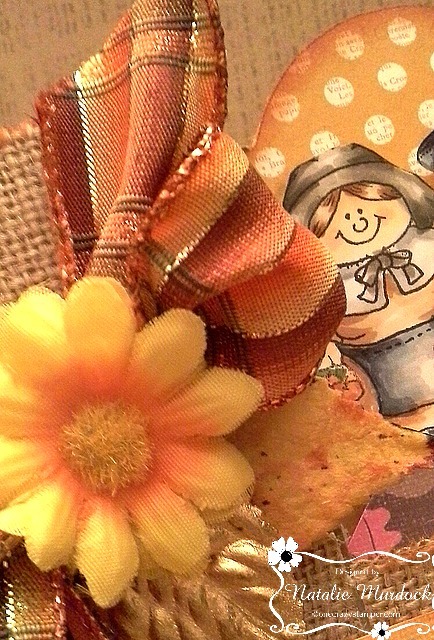 I added some fun wheat and bobbles as an embellishment for something different and fun. The sentiment was created on my computer. 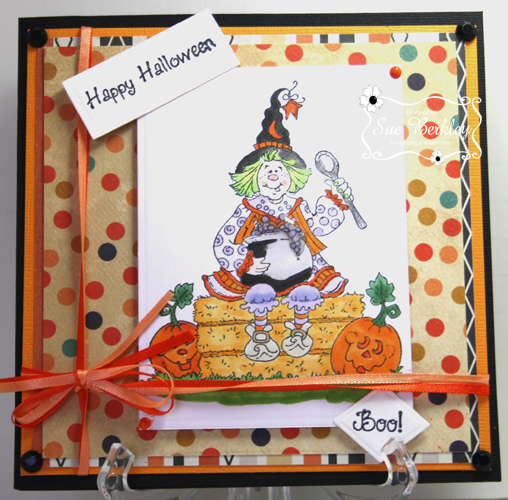 A few of my favourite - gumdrops - finish off my card. 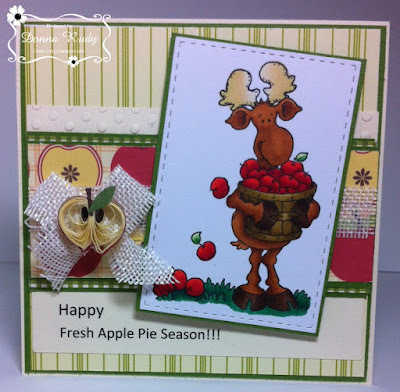 Be sure to pop back tomorrow - we have a New Release blog hop that is full of cuteness overload! There is still time top play along in our August Fall/Halloween challenge. Click this link and come play along. I can't wait to see your creations! As today is the last Tuesday, for August this means that school starts next week and summer is coming to a close. For my post today, I have used this adorable Halloween stamp from High Hopes Rubber Stamps called Witchy Poo Stirrin Brew. 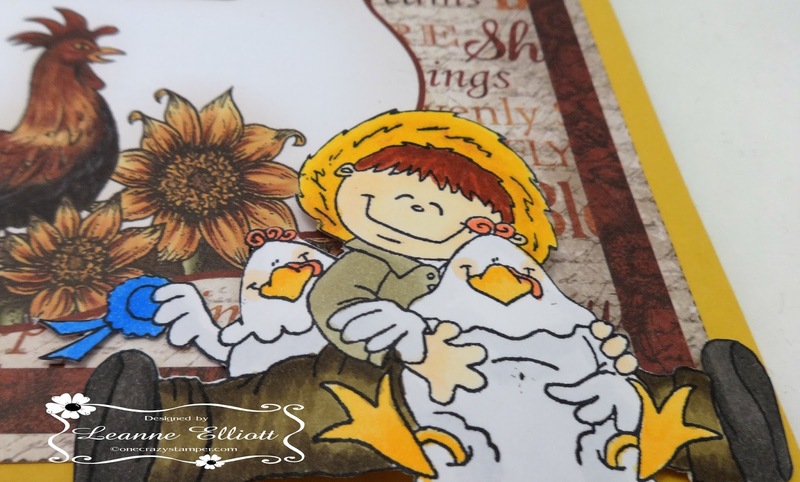 There are still a couple of days to enter this month's challenge and Thursday we will have a brand new challenge with some adorable new stamps and a blog hop. If you need or even just plain want High Hopes Stamps or crafting supplies you can find them at the High Hopes Website or One Crazy Stamper. Another great challenge we have here at One Crazy Stamper and my fun little High Hopes Rubber Stamps fella, Herbie I colored up using Copic Markers and used the wonderful Heartfelt Creations Paper. 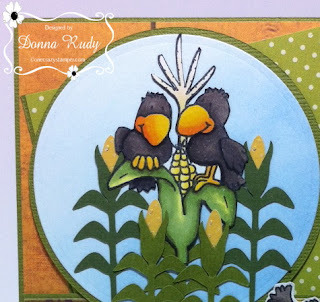 I hope you get a chance to share your creations, Lora has great prizes too. Happy Crafting! 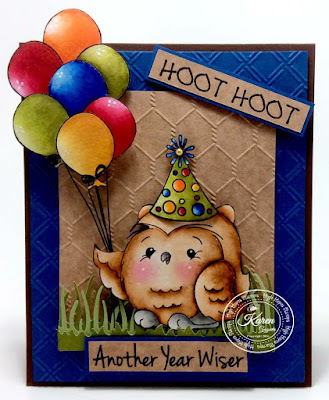 Lora, the High Hopes Rubber Stamps and One Crazy Stamper DT Divas along with some very Special guests are doing a Birthday Wishes Blog Hop to celebrate your birthday. Hop along, be inspired and don’t forget to leave a birthday wish for Lora on the One Crazy Stamper and/or High Hopes Rubber Stamps blogs. 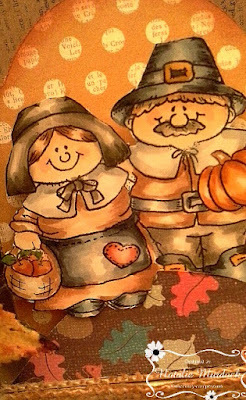 I'm totally ready for Fall, mainly for the cooler weather and yummy crock pot meals! High Hopes Gard Duty Rudy found here! 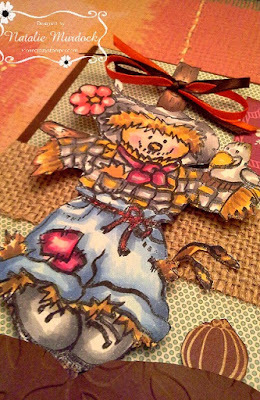 Lots of pop dots were used for added dimension and some pretty Fall ribbons at the top of the Scarecrow post. Thanks for peeking! Wishing you a great Weekend. 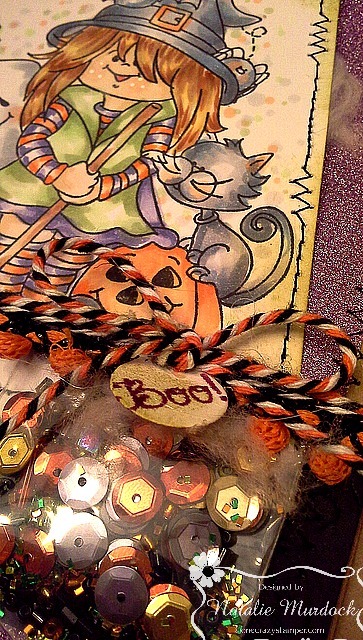 Hope you get crafty and create some Fall and Halloween designs! I would love to see your creations in our Current challenge found here! 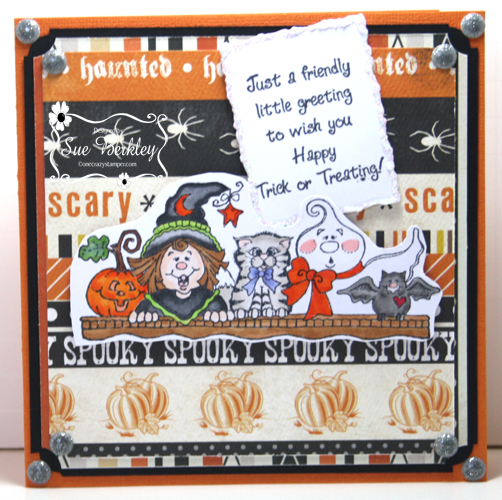 I hope you are enjoying all the fun Fall/Halloween stamps the design team is sharing this month. This is "Milton's Fall Harvest". He looks so proud of all his apples! 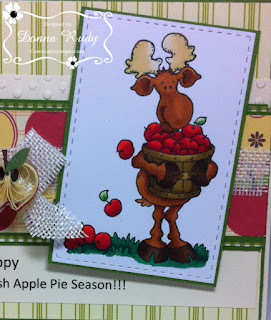 For me this stamp reminded me of all of the fresh, warm apple pie and apple crisp my mom made when we were growing up. She sometimes made apple dumplings too but not too often so they were a special treat for us. 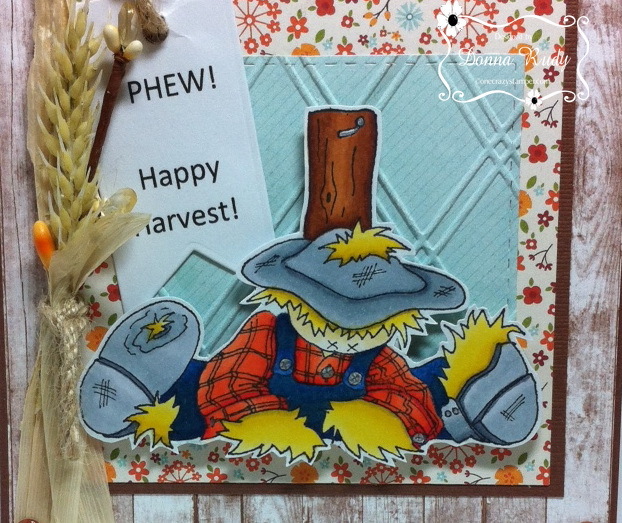 After colouring the stamp with alcohol markers I cut him out using a stitched rectangle die. 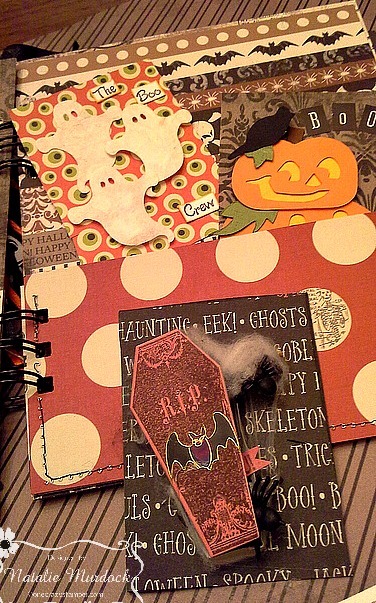 I added some paper from Jillibean, Carta Bella and some from my stash. I added some texture by running some plain cardstock through an embossing folder and using some burlap ribbon. The sentiment was created on my computer. Milton is popped up with pop dots as there are lots of layers of paper underneath him. A quilled apple from my stash finishes off my card. Welcome fellow OCS fans. Tuesday has rolled around again and before we know it school will be in full swing in a couple of weeks. 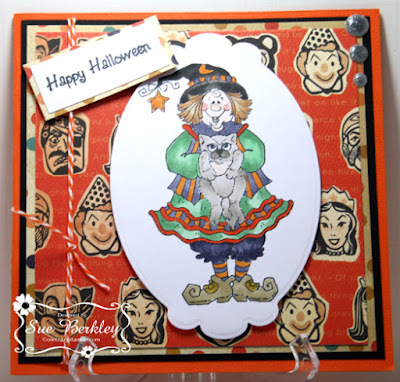 For my post today, I have another Halloween stamp from High Hopes Rubber Stamps called Standing Witchy Poo with Kitty. There is still time to play along with this month's Fall/Halloween challenge for a chance to win 2 High Hopes Rubber Stamps of your choice. Thanks for stopping by. Have a great day and try and find some creative time. One Crazy Stamper, the design team out did themselves yet again and Lora has great prizes. and colored using Copic Markers too. I've been working on Artist Trading Cards (ATC's) as part of a trade I joined in on awhile back. 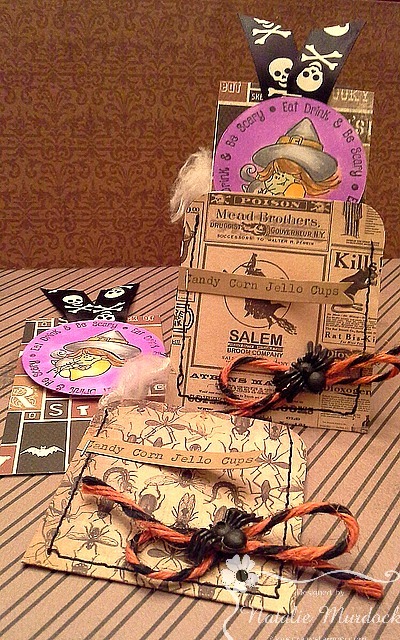 I decided to include some fun Halloween recipes and the Halloween Mini Set from High Hopes is perfect for food related Halloween Fun!!! 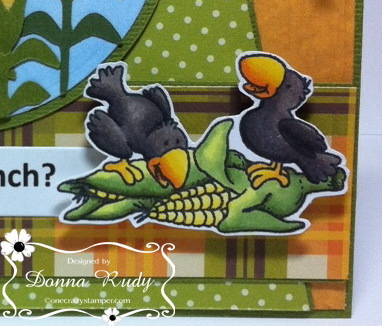 I made two different ATC recipe tags being "Candy Corn Jello Cups and Spooky 7 Layer Dip. Okay .... so the back of the tags have the Recipe details. 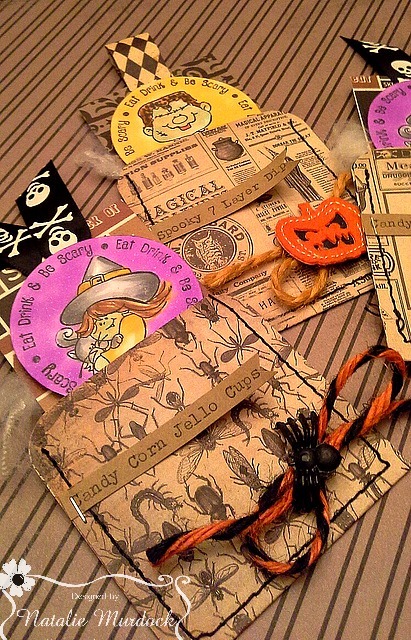 All the papers are from One Crazy Stamper, they have the best selection of Halloween pattern papers in town! Thick twine, plastic spiders, black sewing stitches, pumpkins and hand typed Recipe banners helped create these tags. 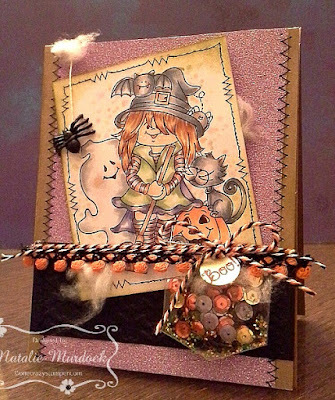 Here's a peek at the Mini Book I created to hold the ATC's The Boo Crew sentiment in the picture is also from High Hopes and can be found here! 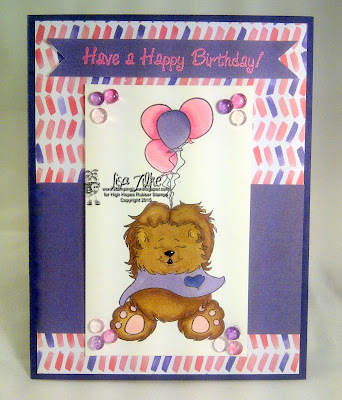 To view the Mini Books created using High Hopes Stamps please visit the following post found here! Lastly a quick pic of my cat helping create the ATC tags! I think she's sick of wearing a fur coat on these hot and humid Summer Days were having! 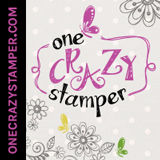 One Crazy Stamper is now accepting Design Team Applications! We are looking for all types of creative spirits to join this fun group. 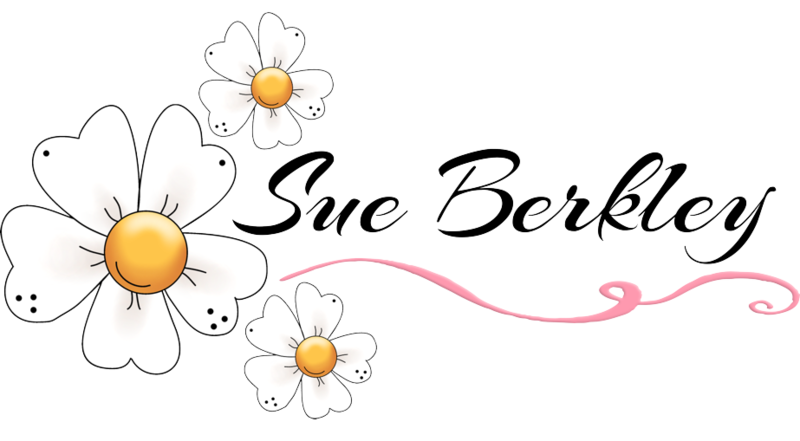 Cardmakers, scrapbookers, mixed media artists etc. are all welcome to apply. All applicants must have a Blog which they post to on a regular basis. We also encourage the use of Twitter, Facebook & Instagram but these are not a requirement. Design Team Diva's with OCS exclusively design using only High Hopes Stamps. 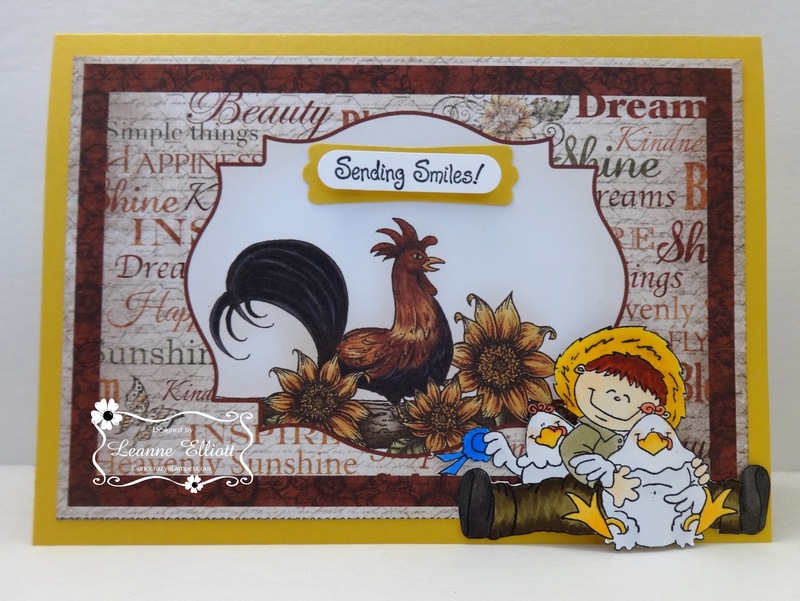 To those selected to join our Design Team OCS offers FREE High Hopes stamps to use on your projects or cards. We also offer a discount to the OCS Store. More details will be provided to those who are selected to join the team. If you think you would enjoy being part of our Design Team please email sberkley51@gmail.com with your name and blog url. I had a little bit of fun with my card this week. 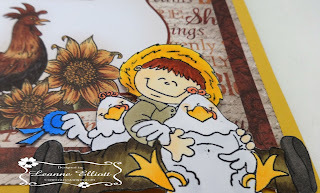 I challenged myself...to use tissue paper and material instead of patterned paper. It was an interesting experiment! 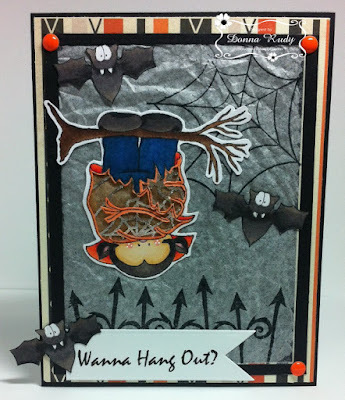 I used "Just Hanging Out and Bat" from High Hopes Rubber Stamps. 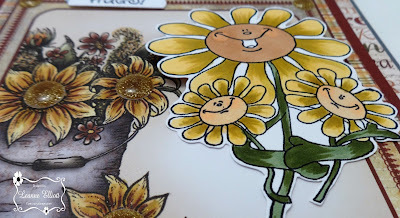 After colouring the stamps with alcohol markers I fussy cut them out. I went one step further with my fussy cutting and cut out our cute vampire's cape. I added some pale orange and silver material from a Halloween bag I found. Sparkle was also added to the bats just for fun. I used some white tissue paper I received with a gift - I wanted a used piece so I had some texture. I very carefully! 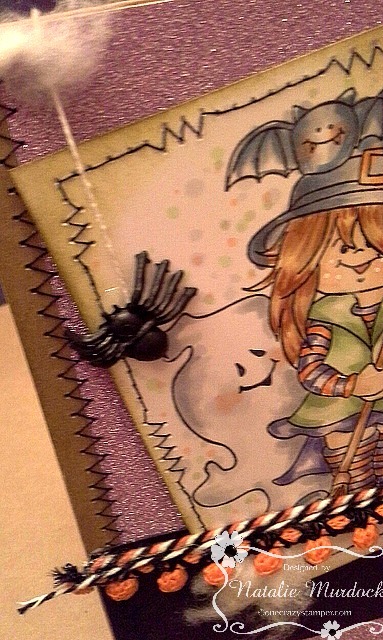 stamped my cob web and fence and glued it onto the back of the black frame I made out of cardstock. I used some orange and black patterned paper to create a second frame and mounted it to black cardstock. The sentiment was created on my computer and voila! A few orange gumdrops finish off my card. Our challenge for August is Fall/Halloween. Click this link and come play along. I can't wait to see your creations! It is mid August and before we know, a new school year will be starting. This means that Halloween will soon be here. For my post today, I have used the adorable Angel Bear Pumpkin from High Hopes Rubber Stamps. There is plenty of time to enter this month's Fall/Halloween challenge for a chance to win two unmounted High Hopes Rubber Stamps of your choice. 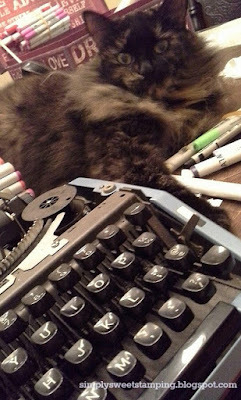 For any supplies that you need or want, check out Lora's OCS store both online and the brick and mortar. 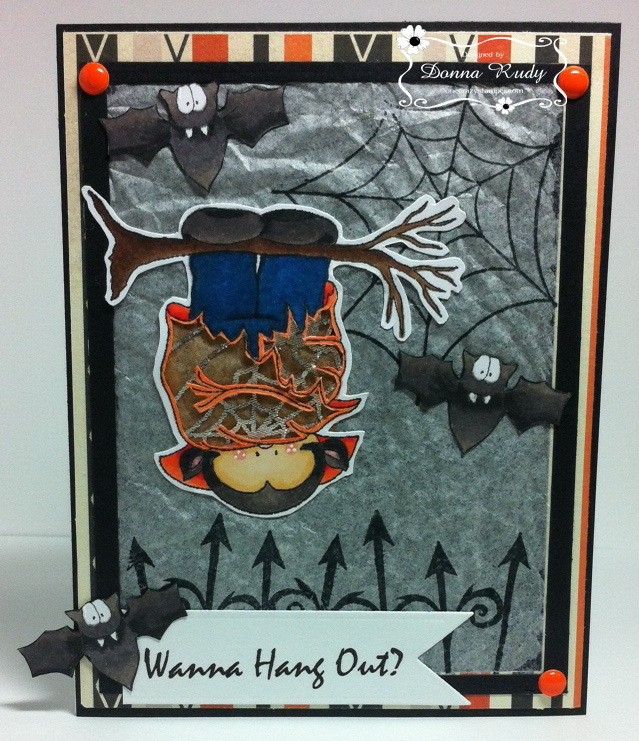 and we are doing the fun Fall/Halloween Challenge. 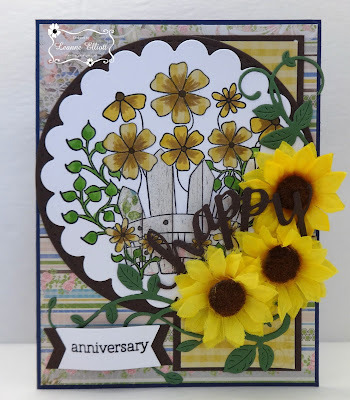 I used some fun Heartfelt Creations paper from last year I think it was, and then added the very cute High Hopes Rubber Stamps and Copic Markers and went to work on creating this card. 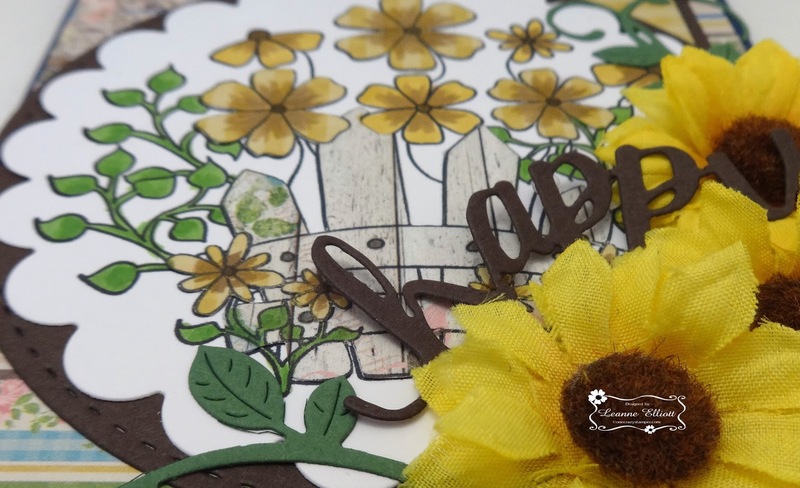 I hope you get a chance to share with us and check out what the lovely talented design team is creating as well and check Lora's store, great supplies, happy crafting. Made with High Hopes Witchy and Friends found here! High Hopes "BOO" found here! 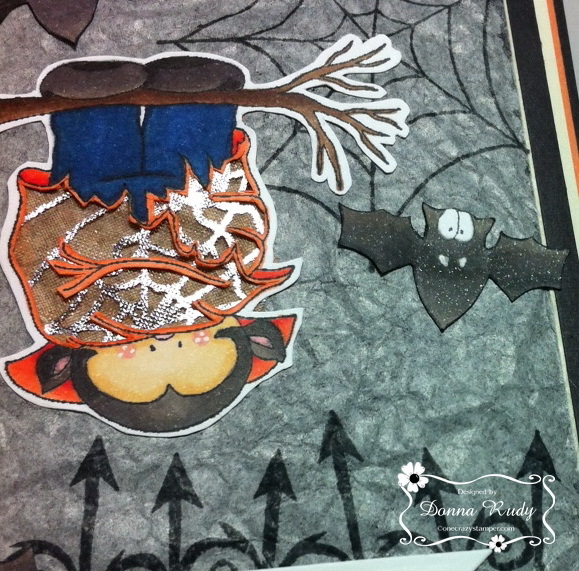 Sizzix Bat embossing folder found here! Sharpie White marker found here! I love this Boo Crew as the image has all the elements to create some Halloween Fun! 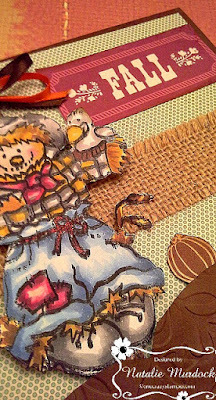 The sewing stitches are a mix of zigzag and straight stitches to give a creepy look to the card. Purple glitter paper, for the background plus sequences and seed beads were added to a banner style shaker pocket for a bit of shimmer! 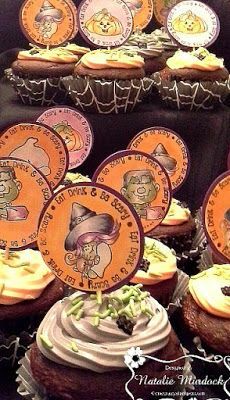 It's Wednesday and my turn to share some Fall/Halloween inspiration with you. 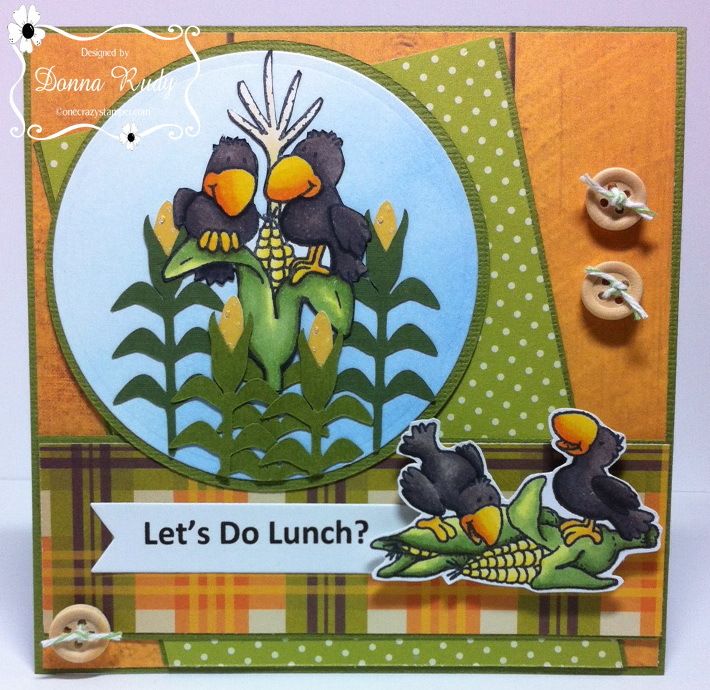 A sure sign of fall being just around the corner is that sweet corn is in season so I chose to make my card using "We're All Ears and Cawnie and Cawrls Lunch" stamps from High Hopes. The sentiment was created on my computer and buttons from my stash and some twine finish off my card. Another week has gone by and it is Tuesday again. Hope you are enjoying the summer as it will soon be back to school time. For my post today at One Crazy Stamper I have used this cute Halloween stamp from High Hopes Rubber Stamps called Boo Crew Border. 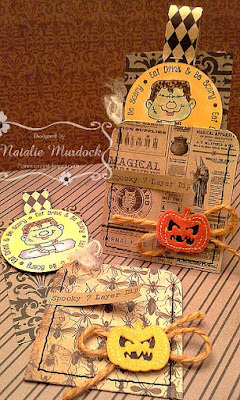 There is plenty of time to enter this month's Fall/Halloween Challenge for a change to win a prize. 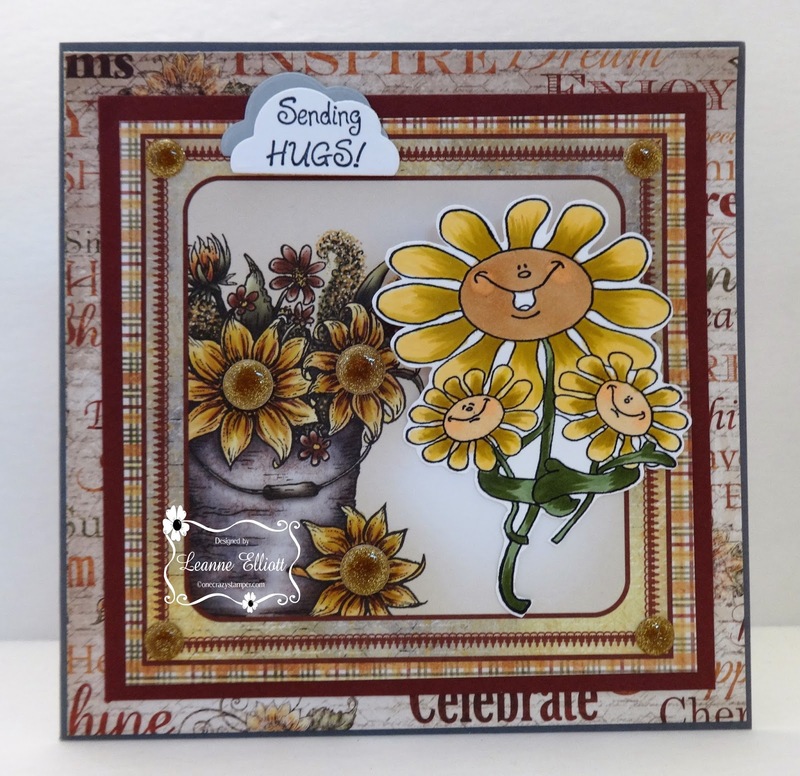 For any supplies that you need or would like, check out Lora's stores -- One Crazy Stamper, both online and the brick & mortar. While you checking don't forget to look at all the Pre Orders. Thanks friends for stopping by, hope you are able to enjoy some sunshine and vacation time this month. Our challenge here at One Crazy Stamper is Fall/Halloween and I found this lonely old tractor in my stash, it is called Tractor from High Hopes Rubber Stamps, and thought it could use some love. I do hope you get a chance to play the challenge, and pop on over to Lora's store and fill up with supplies. Happy Crafting! Flower Sticker/Rhinestone, Glue Dots, Foam Dots. Happy Friday! We made it through another week! Well... for me that was easy as I'm on vacation right now! 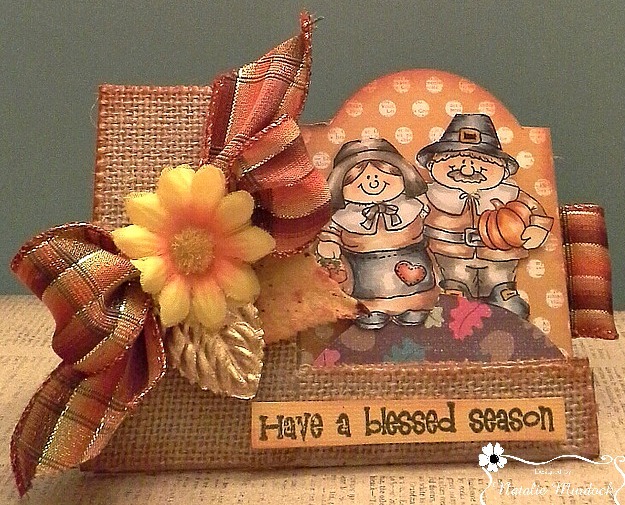 Fall is just around the corner and with that in mind I decided to create a Thanksgiving card. I love using traditional Fall colours as it's always such an easy colour combo to work with. 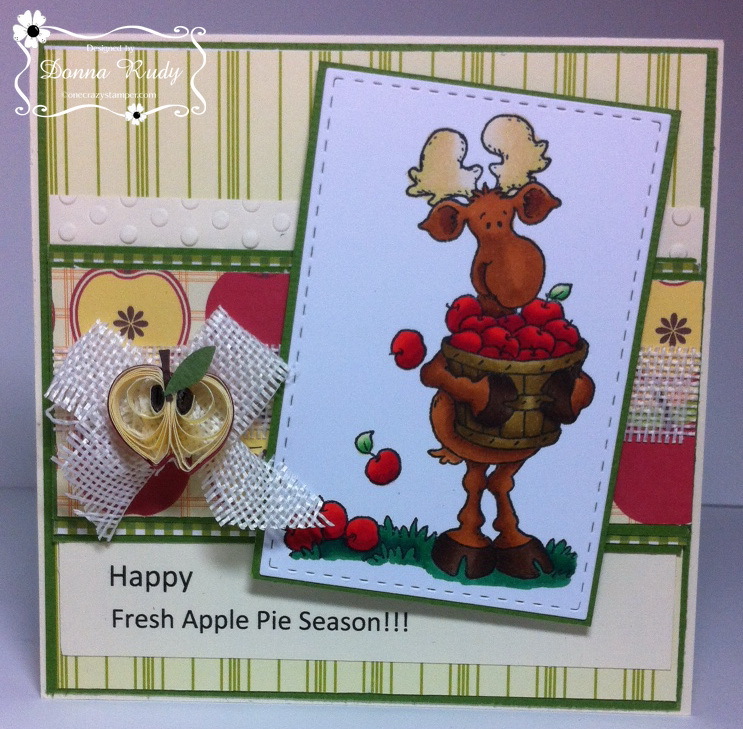 Have a blessed season from High Hopes found here! 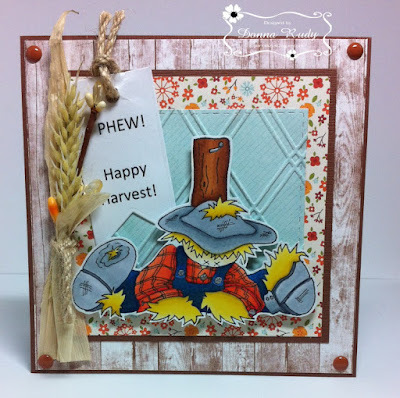 The card base is a side step easel and the background is created with a burlap paper for some texture. The image was coloured with Copic Markers, glossy accents and some plaid ribbon for added Fall fun!